This combined text and workbook covers the theories and principles of DDC’s 23rd edition and then offers immediate practice in putting the information to use. Plentiful, clear explanations, examples and practice exercises illustrate every aspect of DDC and help students master creating DDC numbers. 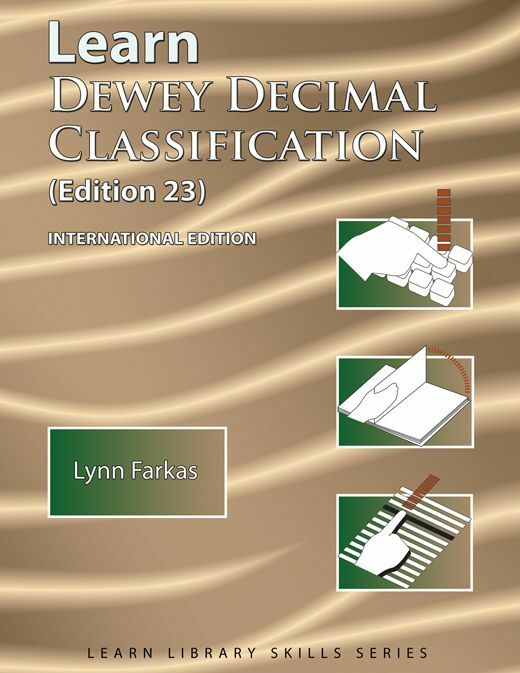 The Learn Dewey Decimal Classification (edition 23) international edition follows the style and format of earlier editions, with new and revised exercises that incorporate the changes in DDC’s 23rd edition. It covers principles of classifying with DDC, components and organization of the Dewey Decimal Classification, finding numbers in the schedules, building numbers using each of the Tables, and number building by adding from the schedules. The book also includes a chapter on WebDewey; a glossary that defines technical terms in simple language, and an index. The concluding chapter consists of 150 number-building exercises for extra practice, making this an ideal resource for classroom teachers. Learn Dewey Decimal Classification (edition 23) is a practical, easy to use study tool for all library students and staff who need to be familiar with the basics of DDC.